Travis Scott Was Given the Key to His Hometown. Does Anyone Actually Know What It Opens? 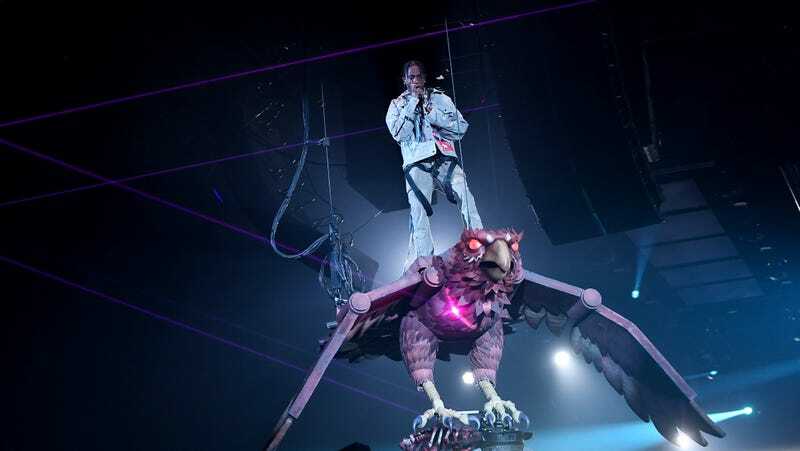 Travis Scott, rapper behind the hit “Goosebumps” ft. Kendrick Lamar and Kylie Jenner’s baby daddy, now holds the key to his hometown, the Houston suburb of Missouri City, Texas. Scott was honored on Saturday in Missouri City, where he was presented with a giant, ceremonial key. The town also declared the date, February 10th, Travis Scott Day, according to city’s own Twitter account. All of this is great and all, but what does it allow him to open? Does the key actually open anything? And is that even how a “key to the city” works? The actual key (like, the big gold device in Scott’s Instagram above) in most “key to the city” ceremonies are comically large, and couldn’t open a normal door (they look like they accompany a pirate’s treasure chest, or something.) So what does Scott’s key unlock? Does he hold the key to open some secret, local government building? If so, what hides behind those doors? Secret government records? It’s a nice sentiment, but, really, I just wanna know what what his key opens. Let us know if you know: tips@trackrecord.net.